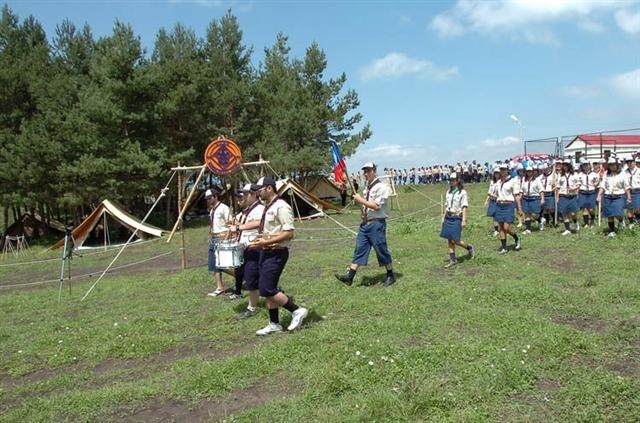 On July 24, 2008, the AGBU Camp Antranig, which will cater to Armenian scouts from around the world, officially opened in the forests near Lermontovo village, between the cities of Vanadzor and Dilijian, in the Lori region of Armenia. 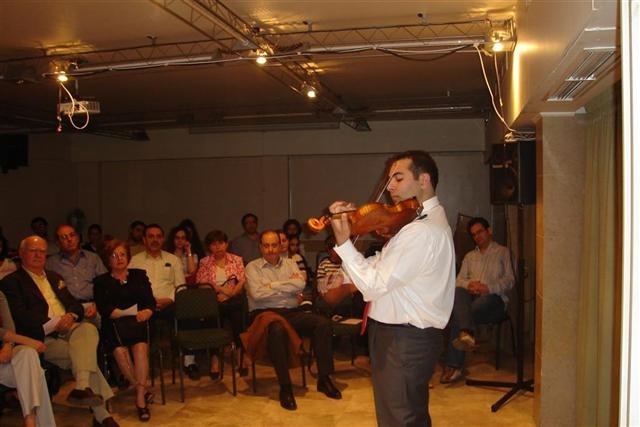 Executive Director of the Armenian Youth Association (AYA) of Lebanon Kevork Santourian is the director of the new scout camp. The opening ceremony, which was widely covered by the Armenian media, was attended by a number of dignitaries, including Lori Governor Aram Kocharian; Bishop Sepuh Chuldjian, Primate of the Gugark Diocese of the Armenian Apostolic Church; Bishop Ararat Galtakchian, Grand Sexton of the Holy See of Etchmiadzin; Simon Ter-Simonian, President of the Republic of Armenia’s Humanitarian Aid Committee; Ashot Kirakossian, Director of the Armenian Social Investment Fund; Ashot Ghazarian, AGBU Armenian Representation Director; Hovig Yeordekian, AGBU Armenian Representation Deputy Director; and other Lori region officials. The event began with a procession of scouts and was followed by Santourian’s welcome speech. After declaring the opening of the first scout camp in Armenia as a historic occasion, he thanked all those who contributed to the success of the camp. Bishop Chuldjian also took part in the opening and conducted a blessing ceremony for the facility. Bishop Galtakchian passed on the blessing of His Holiness Karekin II, Catholicos of All Armenians. Lori governor Aram Kocharian and AGBU representative Ashot Ghazarian also welcomed the scouts and talked about the symbolism of the camp, which seeks to unite scouts of Armenian heritage around the world through camping. In addition to the educational activities organized in the camp, the facility will also organize trips to historic landmarks throughout Armenia for visiting scouts. 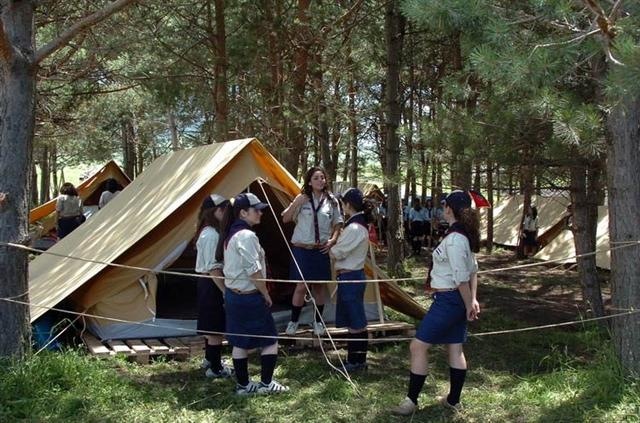 During his visit to Armenia in the fall of 2007, Berge Setrakian, President of Armenian General Benevolent Union (AGBU), laid the foundations for the first scout camp in Armenia, among other national programs of AGBU. For that purpose, AGBU purchased private land in the village of Lermontovo in the northern Lori region of Armenia, which is renowned for its natural beauty. The planning, preparation and construction was able to be completed in a very short period of time. Three hundred scouts are expected to attend the two sessions, which run from July 22-August 5, and August 8-22, 2008. This year’s visiting scouts hail from cities across the region, including Aleppo, Baghdad, Damascus, Kamishli, Tehran and various Lebanese locales (Antelias, Beirut, Zahlé). to have a copy of Yeram.